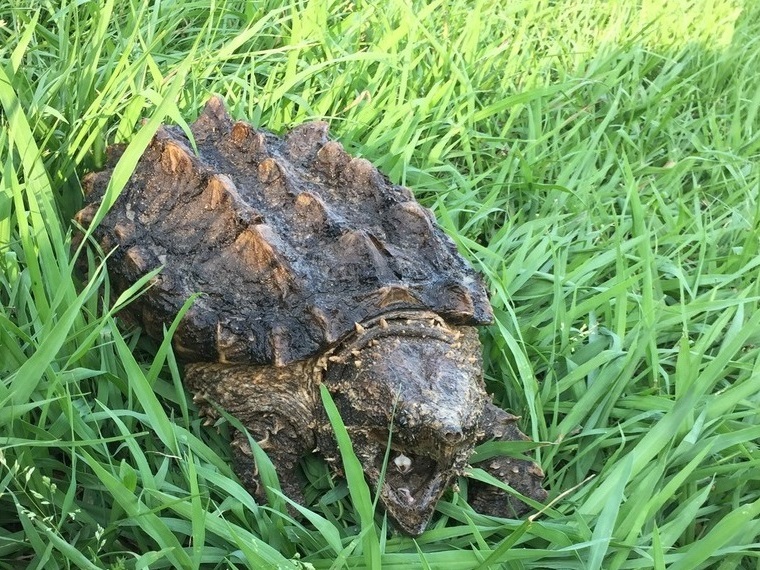 The Texas Parks & Wildlife Department is asking those in areas affected by recent flooding to be on the lookout for snapping turtles. As flood waters recede, wild animals will start to appear in areas where they didn’t used to be. 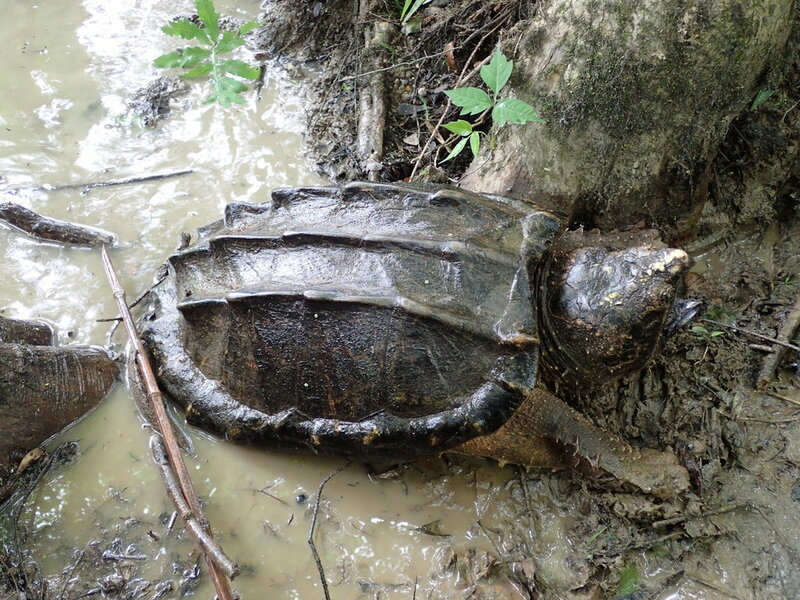 Snapping turtles are a species of concern for wildlife biologists, so we are asking for help in reporting these fascinating, almost prehistoric animals. This research project is a collaboration between Texas Parks & Wildlife Department, Turtle Survival Alliance, and North American Freshwater Turtle Research Group. We are primarily interested in alligator snapping turtle sightings. They will have a triangularly shaped head, with a pointed nose, and a pronounced hook in their beak. They will also have 3 rows of extremely prominent ridges on the top of their back. CAUTION: Snapping turtles can be large and aggressive - always keep your distance. Text a photo and the location of the snapping turtle to 281-302-8033. Please don’t call before you submit a photograph and the location of the alligator snapping turtle. Never approach wildlife too closely! Snapping turtles can be large and aggressive. Take photos from a respectful distance, but try to capture the details of the head. When we confirm that you’ve found an alligator snapping turtle, a trained, knowledgeable volunteer will contact you and will come out to take measurements, insert a microchip, and will release it into the nearest natural waterbody. In some cases, they may have to transport turtles to a centralized location for processing. Due to the expected call volume, we are, unfortunately, not able to respond to reports about other turtles, alligators, snakes, or other wildlife. If you find displaced wildlife, please report it using the smartphone app iNaturalist. In most cases, wild animals will find their way back home out of harm’s way.